Ten writers are invited to a six-week writing retreat. Not just any retreat, however. This one is hosted by the most famous author in the world, Roderick Wells. The only proviso: Absolute secrecy; they not tell no one where they are going or what happens there. The reward if they keep that promise? One of them will become the next world-famous author. The punishment if they tell? You don’t want to know. Taken blindfolded by chauffeur to Wells’ mansion in some unknown destination, in an unknown state, the ten are disparate in character. Lucy Still is a “child prodigy,” published at 19 with instant literary fame, then nothing. Lucy hasn’t published anything noteworthy in years. She’s desperate. The others eight also have secrets and a similar desire to escape being unknown, to gain recognition for their talents. They’ve come to an isolated, undesignated location, to a house in a dark wood where they’ve agreed to stay for six weeks, to have one man wield his power over their written creations. Anyone leaving will lose his chance. Anyone leaving will never be seen again. At first, all goes well as the writers get to know each other and their host, but the more they know, the more their dislike of each other grows. Wells makes it a contest. Each must write so many pages a night, to be read the next day. Those he accepts will stay, those chapters he rejects will find their authors sent on their way. The competition begins and soon everyone is showing his true colors—one is a bully, violent when he doesn’t get his way, another plays the rest against each other. As would be expected, the question arises: What happened to the losers in the last contest? Why were they never heard from again? The writers are about to discover they’re entered a contest that may cost them more than losing a chance to become famous. It may also be a one-way ride to hell, for Roderick Wells isn’t all he appears and neither is his house. He knows their deepest, darkest secrets, and he wants something from them that even the most desperate will be unwilling to give—something both Wells and his mansion are hungry to possess. 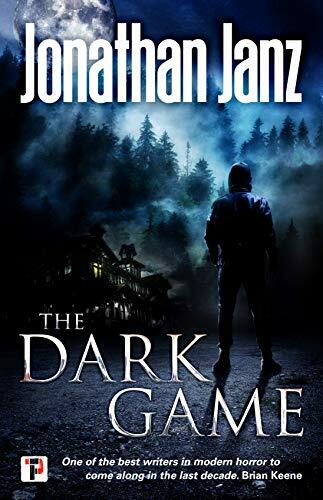 As with all other Jonathan Janz’s novels, this one is a definite winner! This author has written on a variety of “horror” subjects, each so different from the next that they might seem to have been penned by different people. At their core, however, is always the same theme: one person facing odds he himself in some way brought about, and there’s a near-certainty that he may not survive his mistakes. As with his other novels, there’s also a depth of characterization making the reader immediately choose those for whom he will have an affinity and those he will dislike. At first similar in tone to Jeffrey Lord’s Kill Creek, the story soon veers from the usual discordant-personalities-trapped-together theme into something more disturbing, then abruptly terrifying as each author learns his host is more than a mere celebrity generously assisting a talented newcomer into the limelight. Each character is given his background and the secret he harbors, then made to face that secret in a most horrible way. Each believes his projected novel is the best, and when it’s torn apart and battered to bits by Wells, each is helpless to retaliate. The sad part is that all the novels are good but Wells is able to pinpoint their weaknesses and destroy the writers’ confidence, making each vulnerable to the waiting doom. It’s a tense and chilling story, with the knowledge that only one will emerge the winner—if he chooses to make the sacrifice. While the ending may be considered a “Happily Ever After” in one respect, for the survivors, there’s also the question of whether they, in overcoming the horror, have in some way become like Wells. It may make any would-be author think twice before he enters another writing contest.